I've noticed that progressives try to prove they care more about minorities and other sub groups of the population. I have almost laughed at progressives going to extreme measures to prove they are more caring than anyone else. 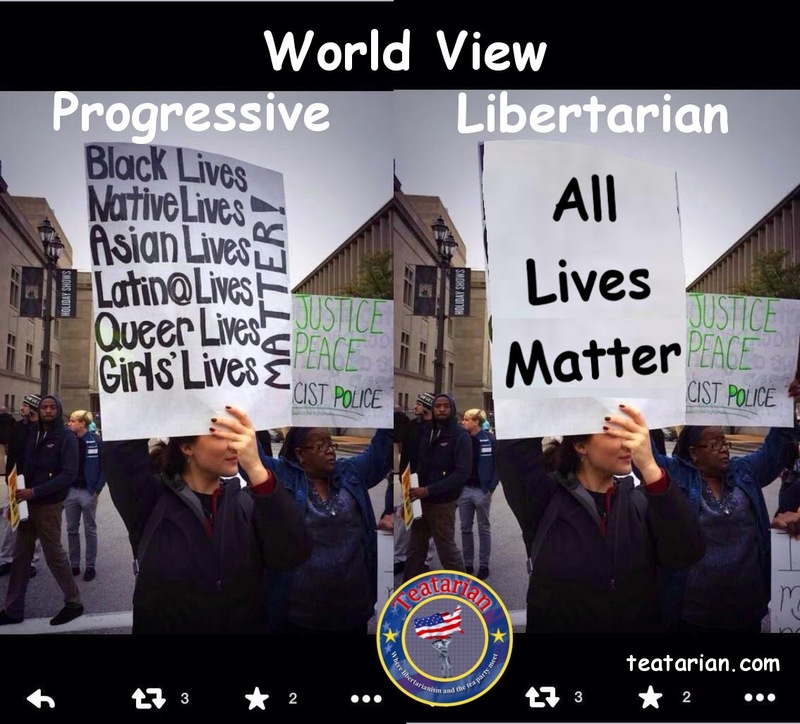 Libertarians, in general, tend to see people as equals. Everyone should be judged as an individual. No one is special because of their skin tone or heritage. Speaking a specific language doesn't make someone special. Language is simply a means of communication—that's why it's important to fluently speak the language in which commerce and government is transacted. When we discover prejudices, they are rarely about flesh tone or heritage. Prejudices are often the result of individual actions. If occurring often enough, they can eventually transfer to an entire group. A person can walk around with a chip on their shoulder, but you can be sure that will only reinforce prejudices. Present yourself well and you will be accepted, prejudices will often fall by the wayside. All ads on the newspapers are purely fictional. All other ads are real and would love your support by clicking them. 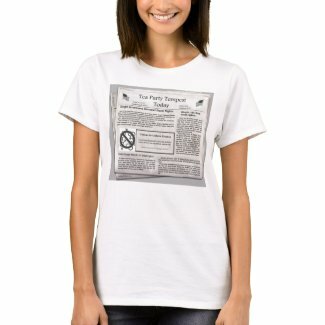 By request, any newspaper or magazine cover can be added to a t-shirt or many other products. Give a copy of my book to your progressive friends. Written in short segments, which makes it great for quick reads. 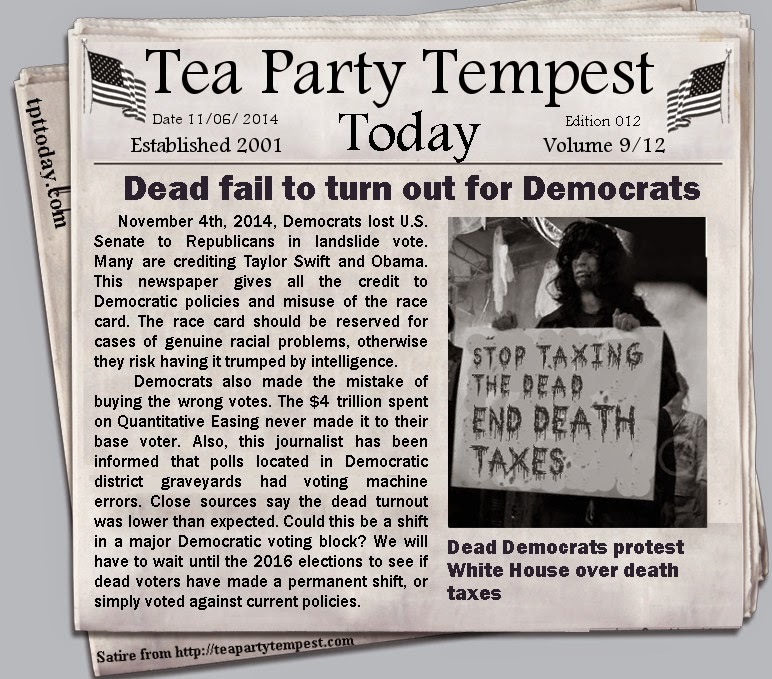 Alll rights reserved Tea Party Tempest. Simple theme. Theme images by DNY59. Powered by Blogger.